Have you ever wondered how the experts cope with stress themselves? I did too, and that’s why I’ve spent the last couple of months contacting experts from all areas of health and wellness, asking them for their personal, unique perspectives on stress management. This page contains contributions from 50 experts, including MDs, psychologists, naturopaths, nutritionists, and health coaches. Many of them are public speakers or authors, and you might even recognize them from the Dr. Oz show or other public forums. There is something in here for everyone, no matter what it is that’s putting you under stress. I hope you find it useful! Each morning I start the day with sunlight. My goal is a minimum of 1/2 hour within 1 hour of waking. This is most useful when done along with some form of brisk exercise. I like to learn new types of activities and also do ones that offer a continual challenge to balance and coordination. My current favorites are rock climbing and mountain-unicycling. Next up is a high protein and high fiber breakfast. Throughout the day, I keep stress in check by spending my time doing things I am good at, I enjoy, and that help others. Sometimes I still find myself getting frazzled. For me the most effective way out of this is to find someone I can connect with and give comfort to. In the evening, I play games with my family and read technical science fiction or the latest studies in my areas of focus. Each night I make a ritual of finding at least three really cool things that happened that day and think about at least three more that I will make happen tomorrow. To reduce stress my first and foremost recommendation is to take magnesium. But it has to be in the right form and you have to take enough of it. Magnesium is responsible for the activity of 700-800 enzyme systems that make energy, digest food, support the adrenal glands, detoxify heavy metals, relax your muscles and nerves and help you sleep well at night. We don’t get enough magnesium in our food so it’s important to take supplements. Because I get the laxative effect with most types of magnesium, I use a liquid form that is 100% absorbed at the cellular level. It’s called ReMag and it’s picometer in size, which means it’s absorbed 100% at the cellular level and doesn’t even reach the large intestine to cause diarrhea. The trouble with magnesium therapy is that most people don’t get the therapeutic effect before they get the laxative effect. If you want to know how much to take, get a Magnesium RBC blood test. You can order one online at www.requestatest.com for $49.00. Aim for a optimum level of 6.0-6.5mg/dL in a range of 4.2-6.8mg/dL, which is a measurement of magnesium levels in the general population who are 80% deficient. In my practice, I find myself constantly counseling practitioners and clients on how to identify both EXTERNAL stressors like the demands of work and relationships and INTERNAL stressors such as inflammation, pain, and infections. Together, we use functional lab testing and a holistic grounding program to eliminate stressors and identify healing opportunities that support the body in building health. Personally, I try to live my life as stress free as possible, which is not always easy with the growth of FDN, speaking engagements, new projects, and consulting work. To counter stress, I eat a nutrient dense diet, get proper rest and regular exercise. Additionally, I incorporate the following principals to keep myself grounded. A Clear Sense of Purpose. By clarifying what is most important, I can focus on one or two key things and focus less and delegate the less important, eliminating stress. Connect with Nature. Stepping outside and breathing in fresh air, walking barefoot on grass, and feeling the warmth of the sun on my skin energizes me and provides a valuable sense of inner peace. Relinquish Control. By surrounding myself with a team of talented individuals, colleagues, and friends with whom I can share challenges and burdens as well as joys and successes, creating a sense of community and shared responsibility. Laugh. The act of laughter instantly relieves stress. Finding humor in my life and not taking myself too seriously has always been in my stress reduction arsenal. I have also found humor to be a great tool to break the ice and put those around me at ease in an otherwise stressful situation. There is light at the end of the stress tunnel! At my clinic, we cope with stress using nutrition and supplementation. A proper vitamin B12 and vitamin B5 injection combo can really help with improving energy levels, mood, focus, memory, and adrenal health as well as relieving stress & anxiety, nerve pain, and burnout symptoms. Internal physical stress can also be caused by improper food choices. Take a moment to see how your body reacts to common allergens like gluten, nuts, dairy, eggs, corn, and soy. Fill up on high quality nutritious proteins, organic fresh green vegetables, and delicious satiating fats. Finally, taking 500-1,000mg of GABA supplementation with a physician’s recommendation and monitoring may significantly improve relaxation. Breathe deeply, eat well, and relax! 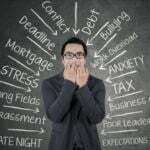 Stress activates the sympathetic nervous system – the fight or flight part of your nervous system. To combat stress, you must activate your parasympathetic nervous system. You must activate this part of your nervous system to detox. One of the best ways to access or activate this part of your nervous system is with a near infrared sauna. A near infrared sauna is comprise of 3-6 red infrared bulbs in an enclosure. This is one of the best methods to activate the parasympathetic nervous system, destress, calm the mind and sweat out dozens of heavy metals and hundreds of chemicals. You can’t do anything healthier for your body! I sit in my sauna for an hour at least 5 days a week! Oh stress relief! I must do something at least once a day to keep my body focused, centered and energized. But the biggest thing I do for myself is take 4 hours, once a week to reconnect with me. I take my trusty journal and a bunch of magazines like The Intelligent Optimist, Mindful, Yoga Journal to a sacred space in nature. First, I write out all my “crazy” in the journal. I just let loose! Anything that comes to mind gets written out and released in my journal. I always say to myself, “I’ll just write for 5 minutes.” What starts as a quick and simple 5-minute writing exercise invariably ends up whisking me away from the world and connecting back to myself for about 40 minutes. I let the pencil guide my journey and stop when it tells me the writing is done. After that, I take several deep breaths. I connect to my heart and make sure everything that has been stored up for the week is offered up and released. I spend time being grateful. I take in my natural surroundings and say thanks for this moment and all living things on earth. The finale to this delicious time alone? I dive deep into those magazines and lose myself to new ideas, beautiful and touching stories and the inspiration of our oneness. Spending these 4 hours with myself every week is like pushing a giant reset button. It’s a touchstone for self-care and having something to look forward to each week is stress relief itself! I advise my clients on the following lifestyle strategies to rejuvenate their minds, rest their adrenals and strengthen their spirits. Get Out in Nature: Go to the beach, a mountainous environment or even a local park. Get out and spend time connecting with nature and breathing in fresh, clean air. You can go for a light hike, do a bit of swimming or take a walk but mostly just focus on relaxing and breathing. Ideally, you are in an environment where you can take your shoes off and ground your barefeet to the grass, dirt or sand. This will help you absorb the natural healing frequencies of the Earth. Do Something Creative: What is your creative obsession? Do you like to read on a particular subject, do you like to write, do you like to listen or play music, do you do art, photography, etc. Have a creative outlet that inspires and captivates your heart. Relaxation: Dry brushing your skin with a soft bristled brush (even better when you and your spouse/partner are doing this together – very sensual) is an amazing way to stimulate your lymphatics and improve circulation. Epsom salt baths with a variety of essential oils are also a nice way to relax, improve your detoxification systems and provide stress-busting magnesium and sulfates for the body. The essential oils have fantastic health benefits and aromatherapy is a fantastic way to improve the health of the pituitary gland, which is the master control gland of the bodies stress-response. Nutrition: Focus on good fats, anti-oxidants and clean proteins. Good fats include coconut products, avocados, grass-fed butter/ghee, pasture-raised eggs and extra-virgin olive oil. 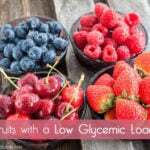 Anti-oxidants include berries, citrus fruits, non-starchy veggies and herbs. Clean protein includes organic and pasture-raised animal products and wild-caught fish. Supplements: Stabilize blood sugar with green coffee bean extract, chromium and carnitine. Adaptogenic herbs such as Ashwaghanda, Rhodiola and Holy Basil are especially helpful as well. My favorite way to cope with stress is to run and listen to podcasts. The burn and exhaustion that comes from pushing your body to do things that normally you don’t do, along with tuning out the world while listening to a podcast that you enjoy creates a mini vacation, even if the kids are along riding their bikes or being pushed in the stroller. Nutritionally, keeping a clean, grain-free diet allows me to have more energy and physically cope with stress better. And lastly, my nerd side can eliminate mental stress by creating lists and spreadsheets. Knowing what exactly needs to be done, and where exactly my money is going helps me to stop worrying and focus on accomplishments. Nutrients like the herbs (hops, passion flower) and amino acids (theanine, glycine, taurine) that help calm you down by acting on the GABA system in the brain. Adaptogenic herbs that support the adrenal glands while enhancing energy, improving mood and promoting inner balance. Be careful not to over-indulge in such habits as alcohol, drugs, or overeating. 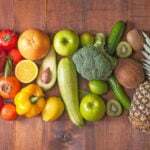 Eat healthy, regular meals to avoid rapid fluctuations in your blood sugar levels. Stress uses up many of the nutrients that we need to be fully functional emotionally and physically. These nutrients should be included in the diet and even taken as supplements. You can cover all bases by taking a high potency multi-vitamin and mineral combination, that includes Vitamin B complex, vitamin C magnesium, potassium, zinc, chromium, and manganese. Essential fatty acids in the form of fish, fish oil, and flax oil are also important buffers against stress. Deep relaxed breathing is an excellent anxiety and stress reducer, and overall tension reliever. Make sure to get enough sleep, since sleep deprivation alone can make all these responses much worse. Monitor your moods and feelings. If you’re feeling down or worried, spend time with your friends and family rather than being alone. Helping others is a great remedy for anxiety and depression. Don’t forget hugs — natural, safe, free, and mutually beneficial! Adaptogens are a unique group of herbal ingredients used to improve the health of your adrenal system, the system that’s in charge of managing your body’s hormonal response to stress. They help strengthen the body’s response to stress and enhance its ability to cope with anxiety and fight fatigue – slowly and gently, without jolts or crashes. They’re called adaptogens because of their unique ability to “adapt” their function according to your body’s specific needs. Though the effects may initially be subtle and take time to make themselves felt, they’re real and undeniable. I prefer combination adaptogenic herb formulas and the adaptogen herbs I consider most important include Asian Ginseng, Eleuthero, Ashwaghanda and Rhodiola Rosea. 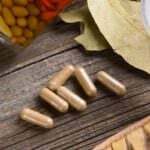 Depending on your needs and physical condition – consult your doctor before taking any herbs – you can take these adaptogens individually or in a combination formula like my Be Well Adaptogens. When buying a formula, look for one that has at least 3 of the above adaptogens and make sure it has some Rhodiola in it. Again, remember to consult your doctor first to get the all clear before you start. As a writer, trainer, and presenter who travels (and loves to!) quite often, there are definitely opportunities for stress to creep into my life. My stress triggers are when work is stretching my play time too thin, I’m not getting enough sleep, and I’m feeling a bit. . .fluffy. These are all major clues for me that I need to check back in to my body and line my ducks back in a row, the ducks being relaxation time, adequate sleep, and a proper diet. Scheduling “play dates” with friends: workouts, walks, and yoga sessions always helps me unwind; my body is in at most relaxed and natural state when it’s moving. I bought amber colored glasses (from Gunnars) that I wear nightly to combat the blue/green light being emitted from my computer screen, a culprit that was interfering with a good night’s sleep and, for the fluffy time, I use a free app for iPhones (Fitocracy Macros) to help reacquaint me with proper portions sizes and adequate protein consumption. We all battle with our own versions of stress. From our jobs to our families to travel to traffic, stress creeps in from every angle. I am no stranger to stress but over my years of studying holistic nutrition and promoting healthy living with my clients and readers, I would say the following are my little gems that help keep the stress monster at bay! Eat clean. The more pure and natural your food, the less likely you will feel the physical and mental effects of stress. Steer clear of excessive caffeine, stimulants, sugar, salt and chemical-filled foods, as all these wreak havoc on our bodies as well as on our mood. Get rest. We all have busy lives but sleep is key to beating stress. Stick to a bedtime that will allow at least 7 hours of sleep and leave all internet devices in another room so you are not distracted from your time to relax. Meditate. If even for 5 minutes, take time to sit quietly, alone with your thoughts. Learn to unplug. Move. Exercise boosts endorphins, which boost your mood and helps to combat stress. Find meaning in your relationships. Having a good support system and love in your life really gives you perspective on what is important and what is not worth stressing over. 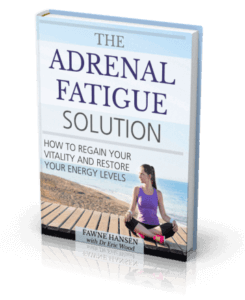 In my practice I talk to a lot of clients about their adrenal health. It’s a cornerstone of hormone balance and not only affected by the stressors of everyday modern living, but also by the challenges of chronic health concerns. I also teach about the adrenal glands to professionals in my Holistic Nutrition Lab, and to customers in our Winter Cleanse (winter is the season to focus on the kidneys and adrenals), so I get to say the word “adrenal” quite a lot! One thing I do to support my own adrenal health while reminding others to do the same is to give my adrenal glands a little loving. Each time I say the word “adrenal”, I form my hands into fists and rub the area on my back where my adrenals are located. You can do the same! Locate your kidneys just above your waist on the back side of your body. The adrenal glands sit right on top of them, like little caps. You may not say the word “adrenal” as much as I do, but you can make this adrenal loving practice a daily routine. These are quite helpful but also somewhat inconsistent. You would spend an awful lot of time trying to work which one best suited to you. These are personal tips from 50 individuals, so of course they won’t all be the same 🙂 They should be useful for readers who are looking to find some alternative ways to deal with their stress. You are a RADIATING CENTER! Hi Lucy, thanks for your kind words! ‪Ugh… Ugh… (speechless)–what an undertaking… what a compilation… what a tremendous resource this is! I picked this post to be the #‎BetterFatBurner link of the day! I like, pin, and tweet a link each weekday that promotes becoming a better-fat-burner. Your site is a treasure trove of B-F-B info! Please check me out–I’m new, web-wise, and would love to hear from you! Thanks for the article! I love Dr. Reed Davis’s suggestion to eat enough, sleep enough and do lots of exercises. Eating and sleeping are fundamental to our bodies and without these important factors, they will fail. The exercise helps with keeping hormones in check and giving off positive emotions instead of negative emotions. I have depressive anxiety and I constantly get stressed out and break down. I feel like this article has really helped me and I will be using these tips for a long time.